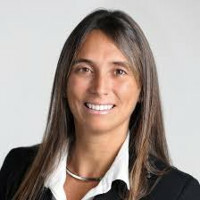 Magdalena Ramada Sarasola is a senior economist at Willis Towers Watson’s Research and Innovation Center with 20 years of experience in R&D and international consulting. She holds a PhD in quantitative economics and finance. She currently focuses on strategic consulting for the insurance industry, especially around emerging markets, insurtech and blockchain. Her main areas of expertise include technology and innovation, multinationals’ internationalisation strategies, emerging markets, global governance, macroeconomic and sociopolitical risks. She has 15 years of teaching experience at European and Latin American universities, has presented at various international conferences and has several publications.